My name is Michelle Chand, and I have been studying yoga for the last twenty-five years. 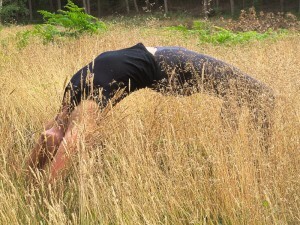 I teach classes in and around the Merrow area that are firmly rooted in yoga philosophy, and suitable for all students who are ready to begin their journey of personal growth and transformation. Yoga is a way of finding peace. It encompasses philosophy, physical movement, breath awareness, mindfulness and relaxation. 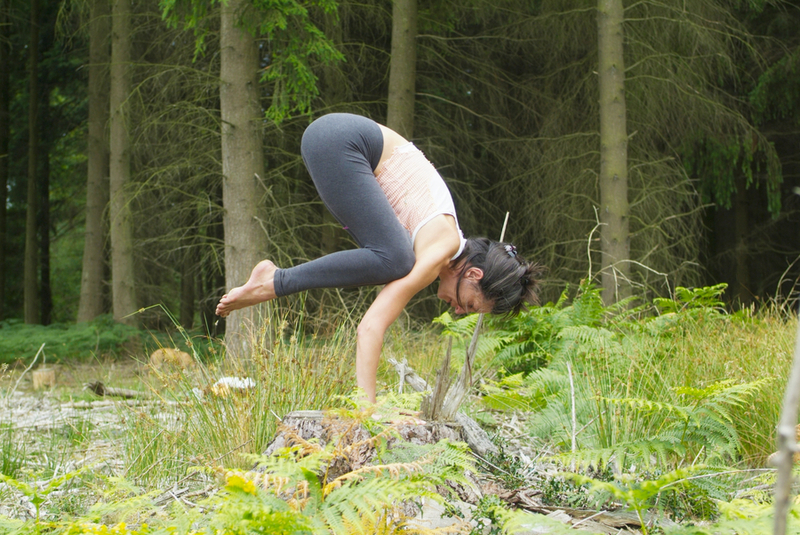 With practice you do become more flexible, and gain strength, but your practice can also alleviate pain, balance mood, create resilience and help you to sleep. So, are you are thinking about starting yoga, or coming back to your practice after a break? And if so, what is stopping you? When you step on to your yoga mat you will be meeting yourself exactly as you are, and learning to do so with acceptance. You might not be as fit as you would like to be, you might be carrying extra weight, you might not be particularly clean living, and it doesn’t matter. Don’t delay the beginning of the journey. Just start. My aim is to teach accessible yoga, to people of all abilities, and to work with challenges such as illness and injury, both physical and emotional, in a creative, inclusive and empowering way. And I wish I had a simple answer to this question, but I don’t. Over the years I have explored many of the different schools of yoga, all of which have their strengths. My instinct was to blend the different styles together, to combine the benefits of each: precision of alignment, physical intensity, discipline, intelligent sequencing, and techniques to aid relaxation and the release of long held tensions. And that is how Chandananda Yoga evolved. Yoga has been a part of my life through many transitions and changes, and when I look back I see that is has provided a steady and constant source of support to me. I practiced through the heady free days of my twenties, battling addictions and issues around body image. I evolved my practice around pregnancy and becoming a single-parent, experienced marriage, baby number two and divorce. I adapted my practice around illness and injury, including a rock climbing accident that left me with permanent damage to my right knee. I have also found refuge in my yoga when dealing with loss. Yoga has been my daily companion as I have learned to live with and manage depression and anxiety. Now at fifty, with grown up children at University, I am enjoying my freedom, my home, my garden, my companion animals and am still to be found on my mat mosts days. I believe that to be an effective teacher, you also need to be learning, so that your teaching does not become stale and you stay informed about new developments and techniques. I have had many teachers over the years and am grateful to those who have shared their knowledge with me. I studied to become a teacher for two and a half years, first with Julia Wheatley, then at Yoga Campus in London. Since then I have completed two intensive periods of education, one on Yoga Therapy and another on Restorative Yoga. I continue to study, attend workshops and explore my own practice. I know what it feels like to have a ‘normal’ body. And by normal I mean one that creaks, clicks, and does not seem to want to move in some directions. I think it is important our yoga practice helps us strike a balance between strength and flexibility, rather than just focusing on getting into the poses, and that we do not lose sight of its intended purpose, to find peace. In my classes, I encourage you to work at your own pace with patience and compassion and this might mean accepting that some poses are just not good for you and may never happen. Many of the ‘fancy-pants’ poses just don’t feature in my classes at all as I have concerns about how safe and advisable they are, including some of the inversions. So, if your intention is to be able to accomplish the more hard-core poses, then my classes are probably not for you. As your practice matures you begin to sense the potency in even the simplest pose, and over time you will notice a change in your relationship with your ego: you will no longer feel the need to prove how accomplished you are at anything. You can just be. What a relief! I am often asked what is the most impressive pose I can do. Honest answer? Sitting still…..